Malcolm in the Middle probably owes its existence to The Simpsons. While the characters and premise aren't the same, there's a notable similarity in the show's energy, humor, and tone. 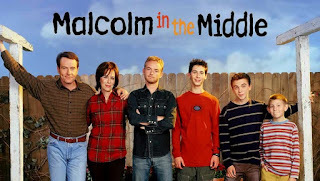 The characters on Malcolm in the Middle feel animated, in a similar way. That's not to say they're shallow - I don't think that's the case for either series - merely that their emotions are exaggerated to the same degree. This isn't the first live-action show I've seen try and capture this kind of tone. The recipe for success seems to be pretty straightforward - good writing and a commitment to the premise. Shows that try to wink at the audience while building a surreal world usually come off hokey; ones that explore their world and characters honestly have a chance to create something great. 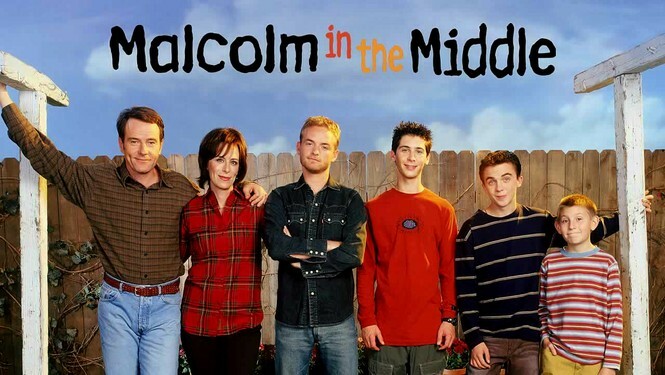 Malcolm in the Middle revolves around a family of four (eventually five) sons, their irresponsible father, and their very angry mother. The series started airing in 2000, when I was in college and far too busy for television. I'm convinced I'd have watched it religiously if it had been on a few years earlier. The show lasted seven seasons, but it appears they only produced three Christmas episodes in seasons three, five, and six. The first (and best) of the three episodes we saw starts with Lois threatening to cancel Christmas. She's holding the holiday hostage in an attempt to force her three youngest sons to behave (she banishes the oldest to spend Christmas with his grandmother). The boys go along with their mother's demands for most of the episode, until they finally realize that letting her win will validate the strategy: she'll be able to hold holidays and birthdays hostage for years to come. Deciding they'd be better off sacrificing one Christmas to prevent this, they break into the garage where the gifts are hidden, unwrap everything, and paint a mural on the wall of their mother decapitating Santa Claus. But as soon as they're done, they pause to reflect on their actions and realize that the gifts their mother bought them were exactly what they asked for. She understands them and listens to them. Plus, they really were horrible in earlier years. They try frantically to fix the damage they've done, but barely make a scratch when their parents burst into the garage. Lois, feeling remorse at having held Christmas hostage, had a breakdown and had come to move everything back. She looks at the boys, frozen in fear under a crudely sketched cartoon of her murdering Christmas, then thanks her husband for having asked them to help move everything back into the house for Christmas. And, in blatant denial of what's in front of them, everyone simply acts as if this is exactly what happened. The B-plot, involving oldest son Francis and Lois's mother, is established like a standard story of two people from different generations learning to understand and love each other. Instead, the more Francis discovers about his grandmother, the more it reinforces his belief she's a horrible person, until he takes off on Christmas morning after hiding cards through her house that will endlessly play Christmas music she hates. This outright refusal to moralize permeates the subsequent episodes, as well, and is downright refreshing for holiday fare. This one opens with Hal's bosses sending everyone home for a few weeks without pay at Christmas, resulting in him having time but no money. In an attempt to salvage Christmas, he decides to go into business selling trees in a vacant lot. His sons chip in their savings, as well, and for a while, it seems to be going well. But when a price war with a nearby Catholic Church escalates, the church sends a group of homeless men to scare off customers. Instead of giving up, they move their operation to their lawn, only to run into legal trouble. Meanwhile, one of Lois's coworkers is bitten by a squirrel, and she spends the episode trying to hunt the rodent down to save him from a series of shots. This transitions into a spectacularly militaristic scene involving a dozen people searching out the creature set to Little Drummer Boy. Eventually they catch the squirrel, only to lose it again in their home, which is at that point full of Christmas trees Hal's hiding from the police. There's a third subplot involving Francis, his girlfriend, and the German owners of a lodge they work at. The German's relatives visit and fight exactly the way Francis's family did, which makes him homesick. While I didn't enjoy this one quite as much as the first, it was still a hell of a lot of fun. 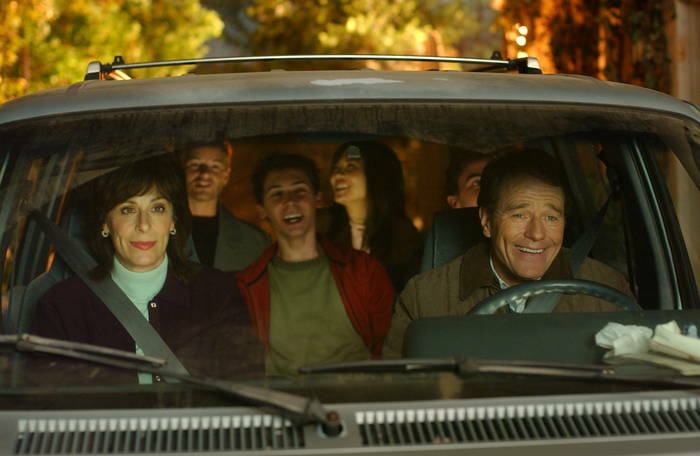 The squirrel hunt, in particular, was extremely well realized - I've seen feature-length comedies try (and fail) to pull off getting a laugh out of sequences like that, while this show made it look easy. In addition, a showdown between a pair of priests and Hal was both inspired and gutsy. In yet another rebuke to moralizing, this episode takes a fairly run-of-the-mill premise (parents being broke at Christmas), ratchets up the absurdity, and laughs at us when we expect the resolution to provide a message. Bless this unholy show. Early in the episode, Lois winds up in a parking lot showdown with a woman who scratches her car door and refuses to apologize. Neither relents, and the situation escalates into them ramming each other until both vehicles are more or less totaled. This sequence, incidentally, is amazing. Of course, that eats up the money Lois and Hal saved for Christmas. Since they can't afford presents, Hal proclaims it will be "homemade Christmas," where every gift has to be made from scratch. In addition to all this, Malcolm is feeling left out by his brothers, who he realizes have been excluding him from various activities. Cut to Christmas day, when the presents are revealed. The boys give their parents a series of beautiful, handmade gifts, culminating in working clocks created by Malcolm. Their dad, meanwhile, has been watching in horror, knowing his crafts projects will pale in comparison. Rather than admit he let them down, he herds his family into the van and starts driving, promising that he'd prepared an amazing gift. As the trip goes on, he gets more and more desperate. Lois indulges him but pushes him to come clean; he just keeps insisting something will save him. And, in a way, something does. It's revealed that Malcolm "cheated" - his handmade clocks were purchased using a credit card none of the other characters knew he owned. Malcolm's brothers are furious, but Hal reminds them it's Christmas. He hugs Malcolm and tells him he loves him... and picks his pocket in the meantime, stealing his credit card. Then he takes the family to a ski lodge for the holidays and pretends to be his son. And, at least as far as the episode's concerned, there no comeuppance: he just gets away with it. Like I said before - this show is so refreshing.